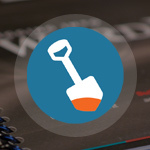 Digging Into WordPress (Page 4 of 31) | Take your WordPress skills to the next level. Poll: How Many WordPress Plugins is Too Many? A frequent question in the WordPress community is "how many plugins is too many?" We've heard responses that vary from "zero" to "no limit, man". So for this DigWP Poll, I figured it would be interesting to see what people think about it. To give you a better idea, I've posted some screenshots of sites running LOTS of plugins. So check ’em out and then cast your vote! 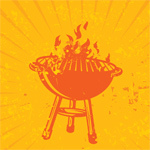 BBQ Pro is the premium version of my free security plugin, Block Bad Queries. BBQ Pro helps keep your WordPress-powered site safe and secure by blocking bad URI requests. This helps to conserve precious server resources like memory and bandwidth. BBQ Pro runs silently in the background, checking all incoming traffic and blocking any URI requests that contain nasty stuff like eval(, base64_, and other malicious nonsense. It’s advanced firewall protection that’s fast, flexible, and fully customizable. 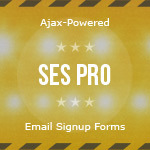 SES Pro is a premium email newsletter plugin for WordPress. It is 100% shortcode-based with Ajax-powered signup forms that can be displayed anywhere. There are no monthly fees or limits on the number of subscribers, how many emails you can send, or anything else. It’s just a lightweight yet full-featured email-signup plugin that's super-easy to use — a great alternative for independent, DIY WordPress enthusiasts who want to rock their own email signup forms. To celebrate Thanksgiving, we're giving away three copies of Digging Into WordPress! Winners will receive full access to the Members Area here at DigWP.com to download current versions of the book and all exclusive themes and bonus material.